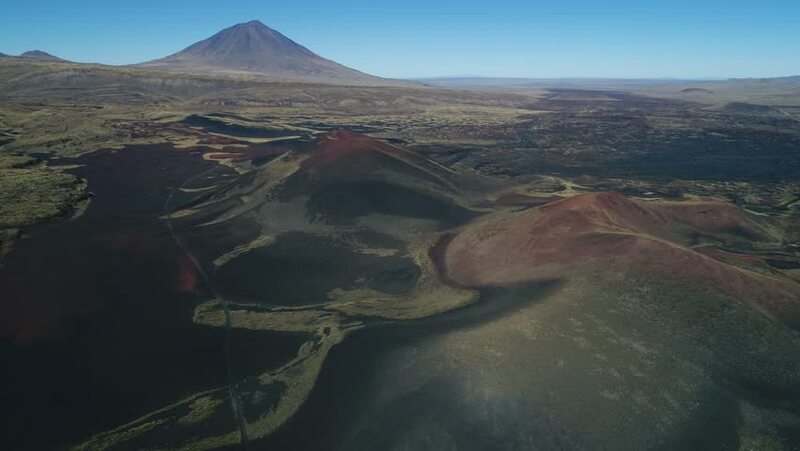 Aerial drone scene of La Payunia National Park in Malargüe, Mendoza. Pampas Negras with black, red ground rocks from volcano and golden grasses pattern. Payun Liso volcano on background. Gravel road. 4k00:57Aerial drone scene of La Payunia National Park in Malargüe, Mendoza. Pampas Negras with black, red ground rocks from volcano and golden grasses pattern. Gravel road. Camera flying over old volcano.